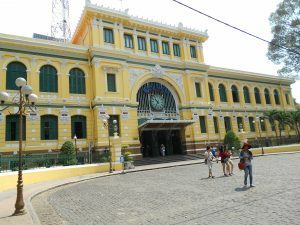 The Central Post Office which is still operating. 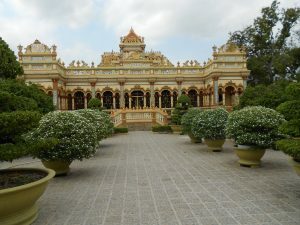 We went on a full day trip to the Mekong Delta region. 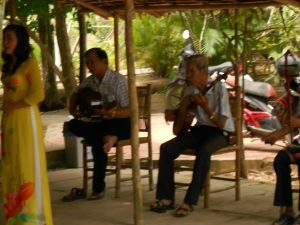 Once in the Mekong area, we stopped at a local village where we were treated to local fruits, honey and tea as well as a performance of music by the locals. After spending time in the village, we took a short walk through what looked like a beautiful lush green forest, with a setting that reminded me of a scene from ''Gorillas in the Mist''. 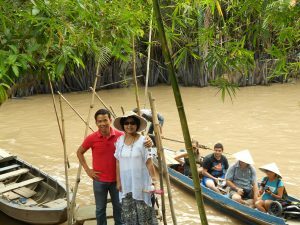 We ended up by a small side stream where we had to board a rowing boat to take us to the Mekong River. 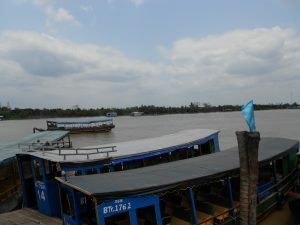 Once we arrived at the Mekong River, we boarded a boat and sailed on the Mekong River for another hour. 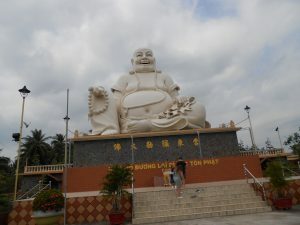 Once this leg of our day trip was completed, we headed back to the tour bus and was taken to another town to see Buddhist Temples. 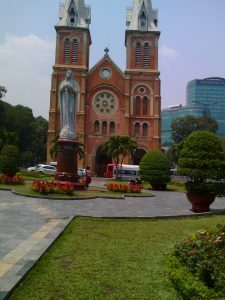 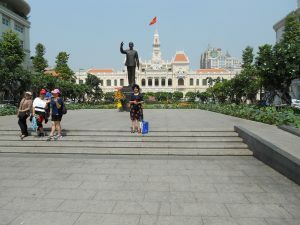 We spent two weeks in Southern Vietnam and by the time we had to depart for Northern Vietnam, we decided that we have to return to Ho Chi Minh for another visit in future, as there is still so much to see and do.